Swiftkey Goes Free On Android! With the touchscreens and smartphones, writing on a mobile phone has become a norm rather than exception. Not only small messages but large emails are also written in the phones now. Messaging services like Whatsapp ensure that people are thumbing away all day without any carrier cost. All this means that smartphone keyboards have become an integral part of the smartphone experience. Even Apple has finally acknowledged it and is providing third party support with its latest iOS update. In Android, it has always been present and one can find a lot many keyboards according to their needs. All three are completely different from each other (especially when they started) and while they have adopted each other’s few traits (Swype’s features have been copied everywhere apparently), they remain distinct enough for you to make a choice. For me, the choice is mostly Swiftkey. I got the app in its initial phase when it didn’t have swiping feature and sold itself on its amazing prediction text algorithm. In my opinion, the app’s forte still lies in here. And it was one of those apps for which I paid money and felt it was completely worth it. Now, things have changed and the app is free to download. With its new update, Swiftkey has made some major changes in its revenue system. With Google making its keyboard better day by day and other keyboards also catching up with Swiftkey, it was the logical step to make its keyboard available to everyone at no cost. Instead, Swiftkey has added themes in the new update. With this, the keyboard can be changed to different colors and different types. To start with, there are in all 30 themes (including both paid and free themes). These themes will be regularly updated and we should get more themes soon. 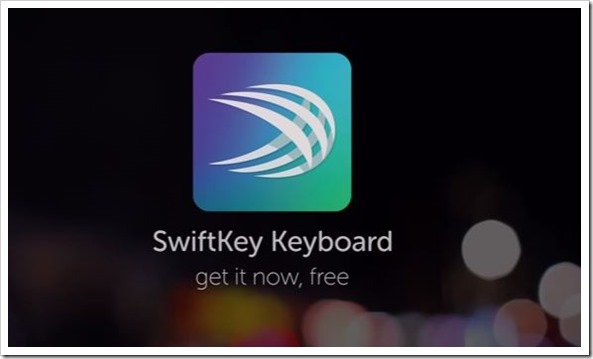 Swiftkey has added a ‘Swiftkey Store’ from which these themes can be obtained. For people who paid for the app initially (like me), Swiftkey is offering 10 of the paid themes for free. The themes are lovely and I have already shifted to a blue shade that changes the whole look of the keyboard (and experience in extension). Other than this major change, Swiftkey has been updated to have more emojis and now support around 800 emoji icons. Hopefully these will be enough to express our range of emotions without writing anything. The predictive algorithm has also been improved to add the prediction for the right emoji. This has to be enabled though in Settings>Advanced> Emoji prediction. Prediction engine has been given the usual update tweaks and multilingual support has been improved as well. Five new languages have also been added to the repository (Belarusian, Mongolian, Tatar, Uzbek and Welsh). All in all, it is a huge update from Swiftkey and as it is my favorite keyboard, I would urge people to give it a try as it costs nothing to do that now.